We collect the email addresses of those who communicate with us via email, information about the pages consumers access on the Drupal Aid website, and information voluntarily submitted by the consumer (for example, filling out a survey or service registration form). The types of information that may be requested include your name, company name, address, telephone number, and credit card information. The information we collect is used to improve the quality of the Drupal Aid website and Service, to communicate information about the Drupal Aid Service, to bill your account for services provided, for research, and to contact you about your account when necessary. Your information, whether public or private, will not be sold, exchanged, transferred, or given to any other company for any reason whatsoever, other than for the express purpose of delivering the purchased product or service requested. The email address you provide for order processing will be used to send you information and updates pertaining to your order and our services. 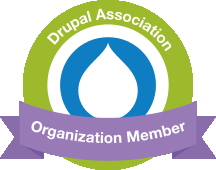 The Drupal Aid website and Service has industry standard security measures in place to protect the loss, misuse, and alteration of the information under our control. While there is no such thing as “perfect security” on the Internet, we will take all reasonable steps to insure the safety of your information. We use a secure server. All supplied sensitive/credit information is transmitted via Secure Socket Layer (SSL) technology and encrypted into our Payment gateway providers database only to be accessible by those authorized with special access rights to such systems, and are required to keep the information confidential. After a transaction, your credit card will not be stored on our servers. Additionally, you retain all rights of ownership to the data you have stored on the Drupal Aid Service. We will not sell or share this data with any third parties or use this data to compete with you or advertise to your clients. Your privacy is of utmost importance to us. Because we value your privacy we have taken the necessary precautions to be in compliance with the California Online Privacy Protection Act. We therefore will not distribute your personal information to outside parties. As part of the California Online Privacy Protection Act, all users of our site may make any changes to their information at any time by logging into their account and going to the “My Account” page. Drupal Aid allows consumers who use the Drupal Aid Service to update or modify their information by clicking on the Account link in the Drupal Aid navigation menu. If you have any questions about this privacy statement or your dealings with the Drupal Aid website, you can contact us at support at DrupalAid dot com. Last updated August 30, 2014.